Josh Kushner, the younger brother of President Donald Trump’s son-in-law Jared Kushner, donated the maximum $2,600 to Texas Democrat Beto O’Rourke’s Senate campaign last October. Josh Kushner, the younger brother of President Donald Trump’s son-in-law Jared Kushner, donated $2,600 to Texas Democrat Beto O’Rourke’s Senate campaign last October. The younger Kushner, a venture capitalist, made his donation — $100 shy of the maximum amount permitted for an individual in the 2018 cycle — just days before the election on on October 25, Axios reported Thursday. O’Rourke was narrowly defeated by incumbent GOP Sen. Ted Cruz, a staunch ally of the president. O’Rourke is now in the race to defeat Trump. He announced his 2020 run for president in mid-March and raised a record $6.1 million in the first 24 hours following his announcement. O’Rourke raised just under $79 million during his Senate campaign — the second-highest for any Senate candidate behind Florida’s Rick Scott — according to the Center for Responsive Politics’ Open Secrets database. Josh Kusher is reportedly a lifelong Democrat and, on his brother’s first day helping lead the Trump administration, attended the January 21, 2017 Women’s March in Washington. That same weekend, he posted a photo of himself with his brother at the White House in front of a portrait of President John F. Kennedy. The younger Kushner has also donated to former President Barack Obama, and New Jersey Democratic Sens. Cory Booker and Bob Menendez. 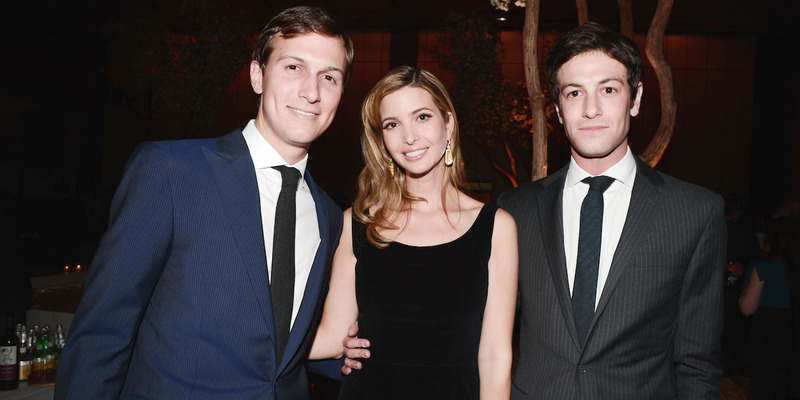 His brother and sister-in-law, first daughter Ivanka Trump, have also donated extensively to Democrats in the past. Josh’s wife, supermodel Karlie Kloss, voted for Hillary Clinton and the couple also attended the pro-gun control March for Our Lives in 2018.